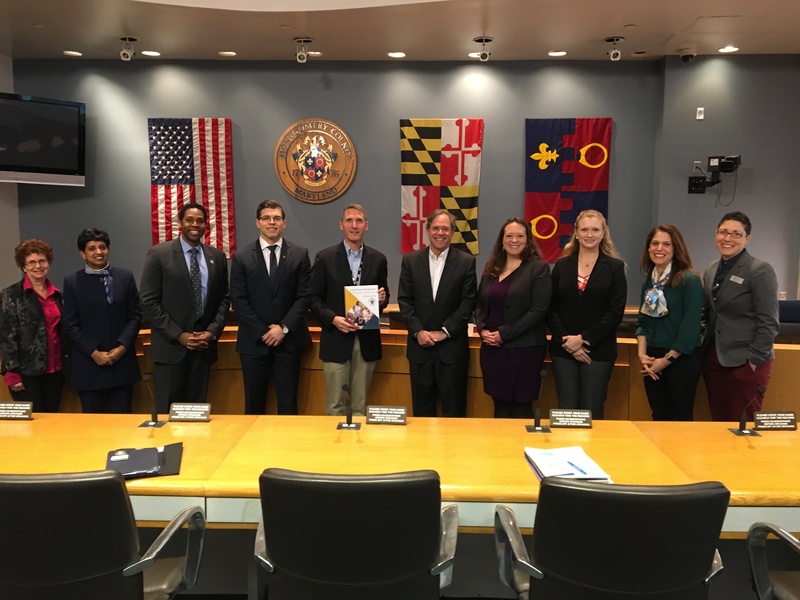 On March 12, the Food Council, together with representatives from Montgomery County Department of Health and Human Services and CountyStat, presented the Year One Update of the Food Security Plan to the County Council Health and Human Services Committee. We shared the first-year implementation successes of the Food Security Plan, and discussed plans to move forward on the Years Two and Three recommendations. Since the Plan, which sets the goal of reducing food insecurity in the County from 7.0% to 5.5% by the year 2020, was launched by County Executive Ike Leggett in January 2017, the Food Council, in collaboration with its many partners, has made significant progress in achieving the Plan’s Year One goals. In order to facilitate increased connectivity, capacity, resource sharing, and collaboration within the food assistance community and our broader community, Amanda Nesher joined the Food Council staff as its Food Security Programs Manager, a full-time position dedicated to the implementation of the FSP recommendations funded by the Transforming Communities Initiative and the Montgomery County government. 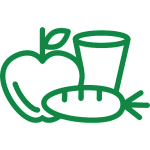 In addition, MCFC’s Food Recovery and Access Working Group (FRAWG) was instrumental in the creation and administration of two surveys aimed at quantifying data collection practices and capacity building needs among the county’s hunger relief network organizations. The Data Standardization Survey (DSS) was created in 2016 in order to collect information about the data that is currently captured by the county’s food assistance providers about the recipients of food assistance services and programs and includes questions about the type of recipient data collected, how it is collected, how it is stored, how often it is updated, recipient dietary needs and preferences, employment and benefit program eligibility, family composition, and various other identifying variables. 25 organizations have filled out the DSS survey, and 69% of county funded organizations completed it. MCFC is using the results of that survey to draft a list of recommended data sets to be collected and reported on by recipients of certain FY19 County grants. 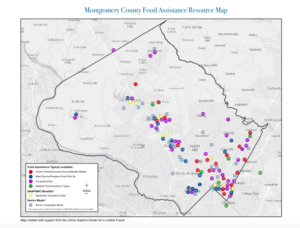 This data will enable the County to more effectively measure the impact of the services provided, and more accurately assess food insecurity in Montgomery County. The second survey to be administered was the Training, Connectivity and Resources (TCR) survey, which was created in 2017 to collect information from food assistance providers on their training needs, potential for increasing capacity (or barriers to doing so), the availability and sources of culturally appropriate foods, and the usefulness and possible format of a provider-to-provider connectivity and information sharing platform. 27 local organizations contributed to the TCR survey. The results of this survey were compelling, and MCFC, along with FRAWG is working towards developing and facilitating the requested trainings, and supporting those organizations that indicated a desire and ability to increase their capacity to serve more people. As a complement to the TCR survey, MCFC is working with a team of students from American University who will be conducting an assessment on the need for, access to and availability of culturally appropriate foods in the County as part of their Senior Capstone Project. We look forward to incorporating their results, expected in late Spring 2018, into strategies to better address the needs of our County’s many foreign-born residents. 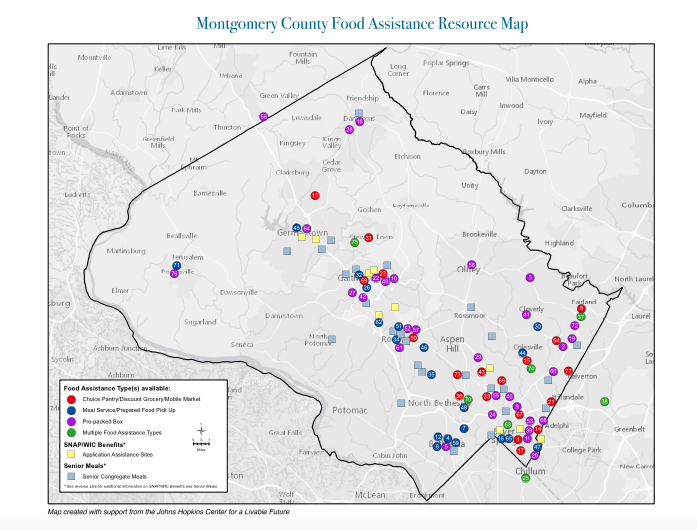 The Montgomery County Food Assistance Resource Directory In the Fall of 2017, the Food Council’s Food Assistance Resource Directory (FARD) was completed. 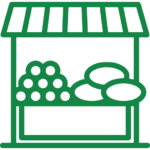 The FARD lists 77 food assistance providers in the County, along with their contact information, opening hours, the type of food assistance provided and any additional information such as languages spoken, documentation needed and whether or not an appointment is required. Since completion, more than 1,000 copies have been printed and distributed to food assistance providers, employment assistance sites, County agencies, healthcare providers and college administrators. MCPS added a link to the online PDF of the FARD to their February lunch menu, and resulted in a significant increase in web traffic to that page. FARD is currently being translated into Spanish, as well as four other languages, and we are working to turn it into a searchable online resource to increase it usability and reach. MCFC has been working closely with partners Manna Food Center, the Capital Area Food Bank, Montgomery County DHHS and CountyStat to create a new online platform dedicated to quantifying, to the most accurate degree possible, the level and incidence of food insecurity in the County. 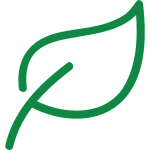 This platform, called FoodStat, will be launched to the public on May 1st 2018, and will be a comprehensive, regularly updated, visual food insecurity data mining tool. The launch will be held at the Montgomery County Executive Office Building from 10:30am-12 noon. It will enable county government agencies, food assistance providers and any other interested parties to analyze the community’s access to food, its transportation/infrastructure needs, high priority zones and potential service delivery gaps that will lead to the creation of smart public policies and local strategies to inform priorities, drive collective impact and ultimately reduce food insecurity in Montgomery County. Another of the FSP Year One recommendations was to take a closer look at the extent of food insecurity in certain defined populations and their potential barriers to food access. We have conducted interviews with students and faculty at Montgomery College, and the University of Maryland (College Park and Shady Grove campuses), and plan to participate as facilitator for a student listening session at Montgomery College in April 2018, as well as hosting a student food insecurity forum in the Fall 0f 2018. Similar outreach has been done with stakeholders who work with County residents suffering from mental health disabilities and those who work with care providers for children under the age of 5. We plan to host listening sessions for these populations also, in order to suggest strategies that could be implemented to help them overcome barriers to food access. 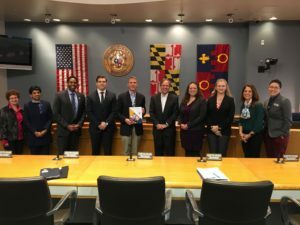 The work of the Food Recovery and Access Working Group (FRAWG) has been critical in implementing the recommendations of the Food Security Plan, and the group continues to actively explore new opportunities to improve food access for Montgomery County residents. Since January 2018, 40 different individuals representing 31 different organizations have attended the monthly FRAWG meetings, with an average of 21 attendees at each meeting. Recently, a representative from the Neighborhood Opportunity Network (NON) visited a FRAWG meeting to outline their benefits application assistance outreach program, and as a direct result of this, food assistance providers have started to schedule outreach sessions with NON staff members to sign clients up for food assistance benefits onsite. 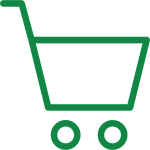 Additionally, NON is working with FRAWG to record a webinar training that will allow food assistance providers themselves to learn how to sign their clients up for federal nutrition assistance benefits. 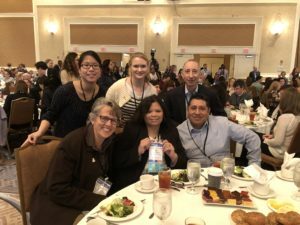 In 2018-2019, MCFC, with the help of FRAWG, plans to build upon the activities undertaken in Year One of the FSP and continue efforts to promote collaboration and connectivity between food assistance providers, and the the sharing of resources, trainings, program information and best practices to help increase residents’ access to affordable, nutritious food. Among other initiatives, we will focus on strategies to increase benefits application assistance outreach and case management so that residents eligible for federal benefits receive the support that they are entitled to, and work with healthcare providers to help facilitate “screen and intervene” programs, along with appropriate sustainable referral and long-term case management mechanisms. Additionally, in 2017, MCFC’s Food Literacy Working Group kicked off its assessment initiative to better understand County food education providers’ existing barriers to providing services (for example nutrition, culinary skills, gardening and food safety education) and their clients’ barriers to accessing these resources. In 2018, MCFC will build upon the key informant interviews conducted in 2017 by conducting listening sessions and roundtable discussions with providers and residents. Based on findings from these interviews, roundtable discussions and community surveys, MCFC will produce a Food Literacy Assessment report that identifies gaps in food literacy resources and makes at least recommendations to mitigate these gaps. 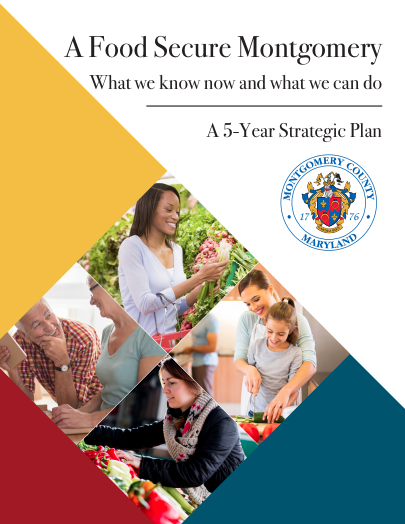 We are encouraged by the positive effect that the Plan has had on the Montgomery County community over the course of a year, and are dedicated to continuing our work to ensure that all MoCo residents have equitable food access. In all of our efforts at MCFC, we endeavor to stay true to our mission of centering our activities around the community and its needs, and we look forward to working with our partners, especially those with strong relationships of trust with County residents, to ensure that those community voices are heard and given the weight they deserve.